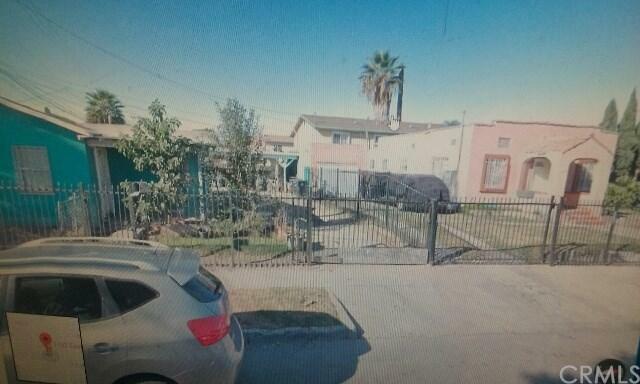 1122 E 113 Street, Los Angeles, CA 90059 (#300968839) :: Ascent Real Estate, Inc.
Great !!! Investment Opportunity !!!. Property needs some cosmetic repairs. Great long term tenants. This is 2 bed rooms 1 bath. There's another home with 2 bed room 1 bath. each home has its own separate lot. Great Opportunity to Own 2 units. Live in one and rent out the other. each home has long driveway. Plenty of parking. Property is about 20 minutes from downtown . Great !!! Investment Opportunity !!!. Property needs some cosmetic repairs. Great long term tenants. This is 2 bed rooms 1 bath. There's another home with 2 bed room 1 bath. each home has its own separate lot. Great Opportunity to Own 2 units. Live in one and rent out the other. each home has long driveway. Plenty of parking. Property is about 20 minutes from downtown . Listing provided courtesy of Century 21 Bright Horizons. Listing information © 2019 San Diego MLS, Inc.